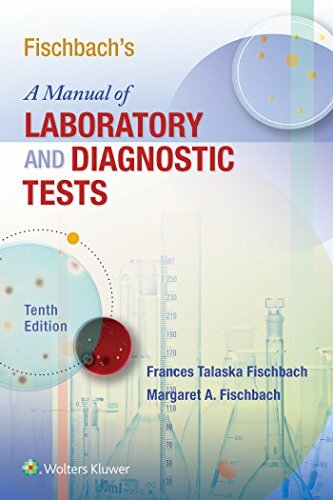 Up-to-date and easy-to-navigate, A Manual of Laboratory and Diagnostic Tests, 10th Edition is the perfect point-of-care guide for nurses and health professionals caring for patients undergoing diagnostic tests and procedures. Organized the way a nurse thinks—by specimen and function—this proven resource describes an extensive array of tests for diverse populations, providing step-by-step guidance on correct procedure, tps for accurate interpretation, and expert information on patient preparation and aftercare. Find the right test with ease, whether you know the name or not. Reference critical safety information at a glance with Clinical Alerts. Quickly access relevant abbreviations and units of measurements. Master key information with helpful tips, inclusion of both conventional and SI units, and coverage of clinical implications for increased and decreased values.